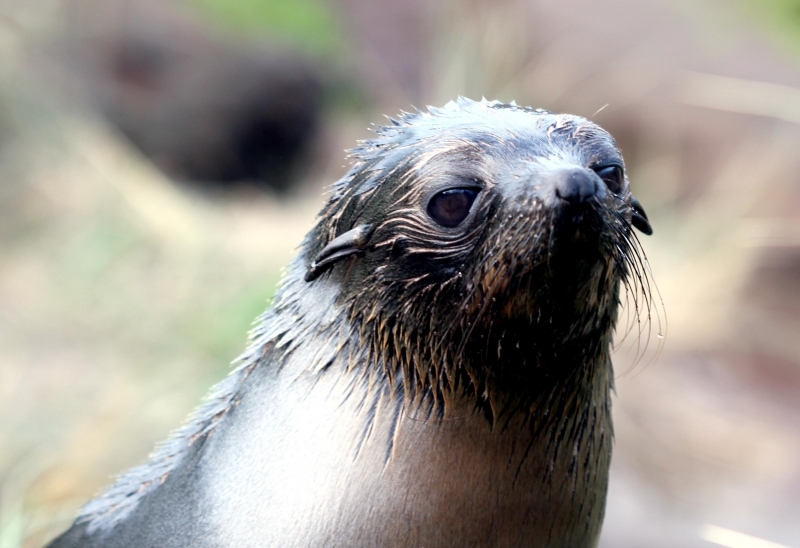 The New Zealand Fur Seal called kekeno in the Māori language, is also known as the Australian Fur Seal. 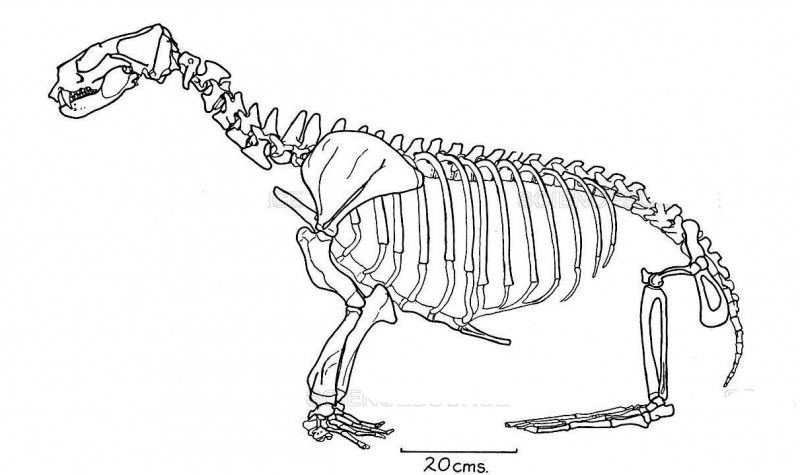 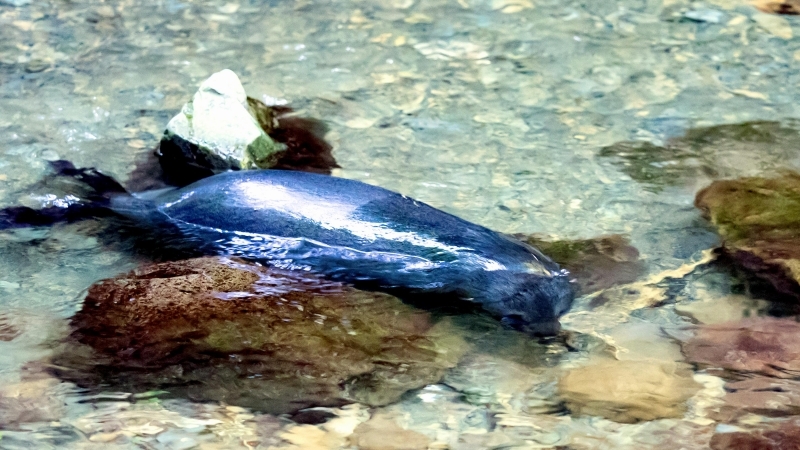 They are found in both New Zealand & Australia and exchange between the 2 populations is very limited. 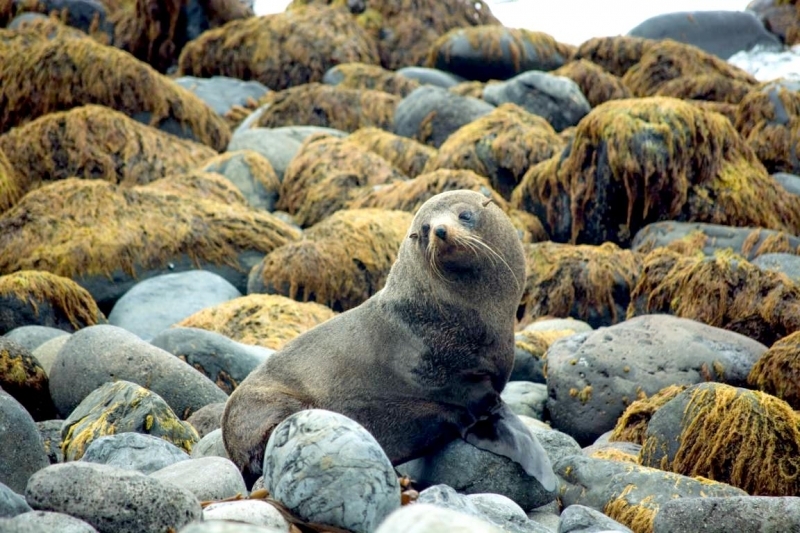 In New Zealand, they can be found on the rocky coastline in the southern portion on South Island and on many of the offshore islands. 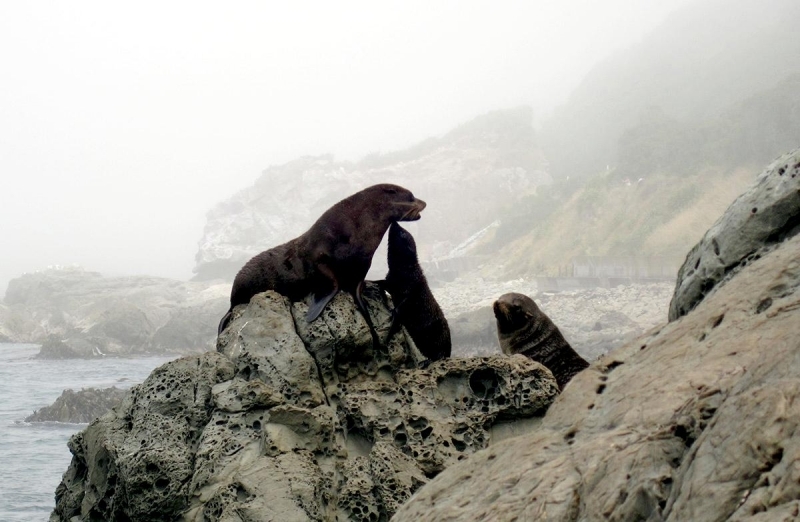 Other important rookeries are found in the Open Bay Islands, Cape Foulwind, Cascade Point, Wekakura Point, the Otago Peninsula, the Nelson-northern Marlborough region, Fjordland and the islands of the Foveaux Strait. 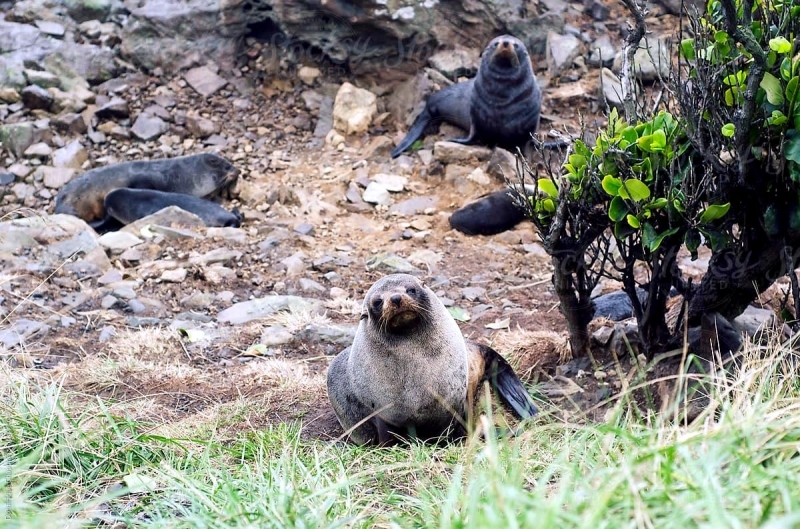 Small rookeries have also been established on the North Island in recent years. 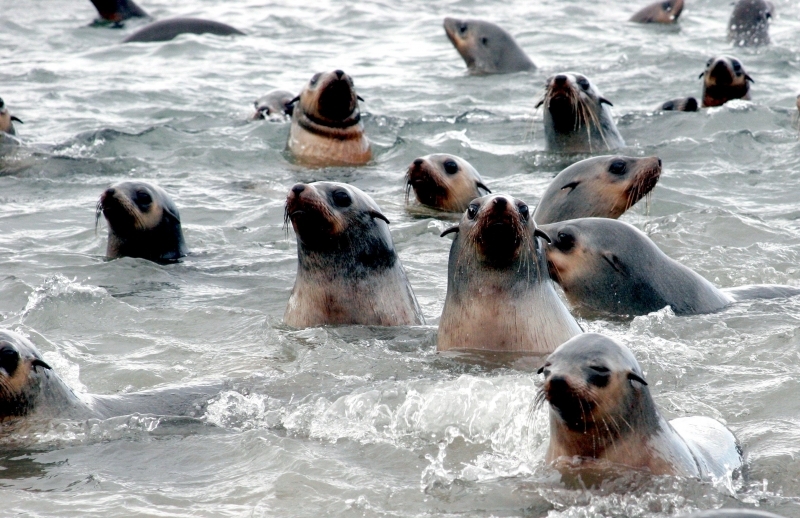 The Bounty Islands are home to about 21,500 seals as estimated in 1994, the largest concentration in New Zealand. 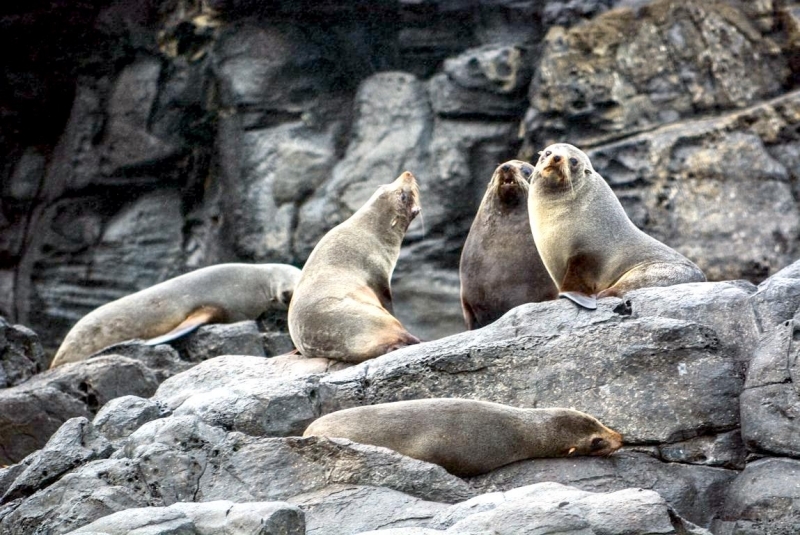 The population estimate in New Zealand is thought to be around 50,000 and is thought to be increasing. 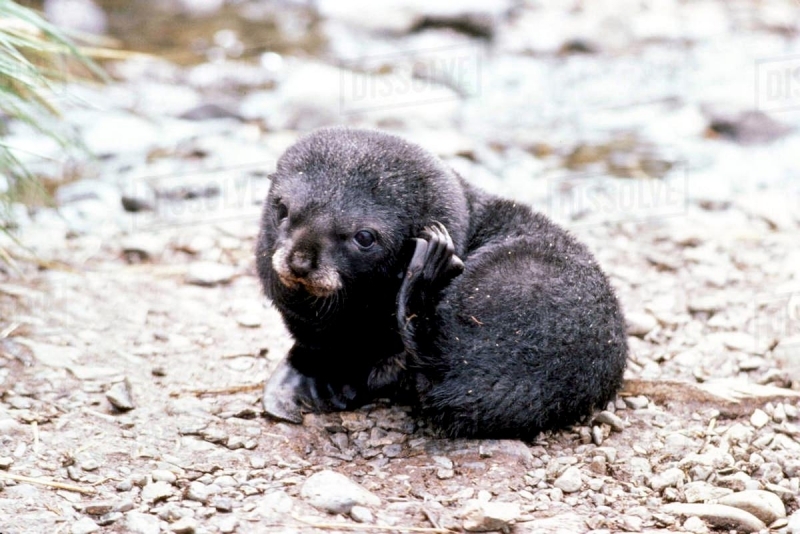 In Australia, population studies for New Zealand Fur Seals carried out in 1990, estimated an increasing population of about 34,600. 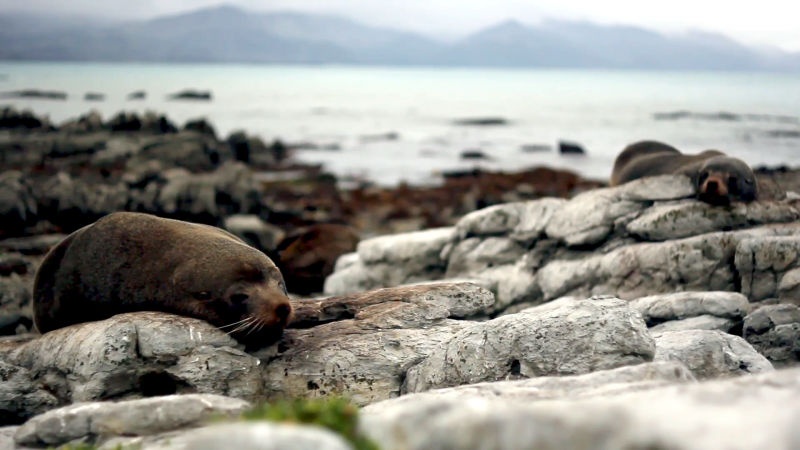 Colonies there are more dispersed than those in New Zealand. 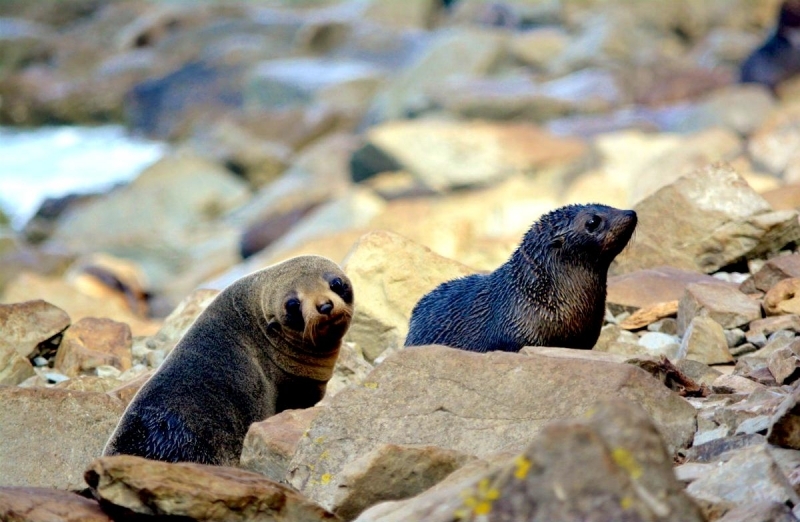 The species can be found in southern Australia on the Pages Islands and on Kangaroo Island in the Neptune Islands chain, which produces about 3/4 of the total pups in Australia. 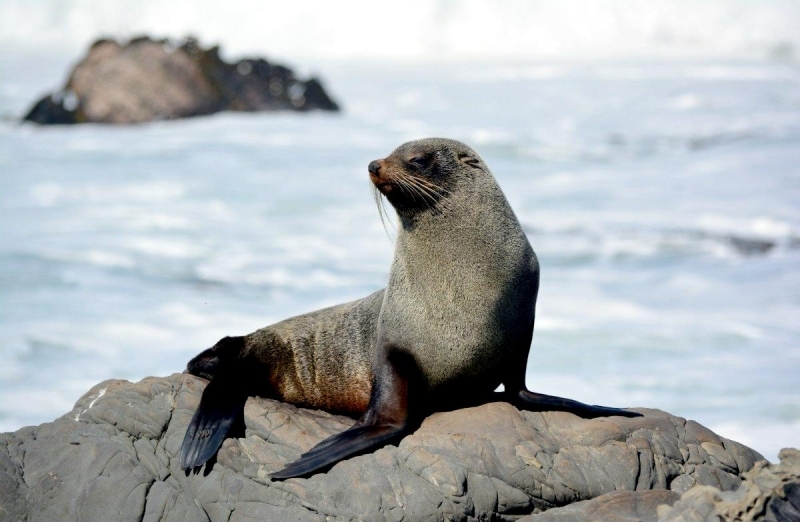 They are also found on Cape Leeuwin in Western Australia and on the south coast of Tasmania. 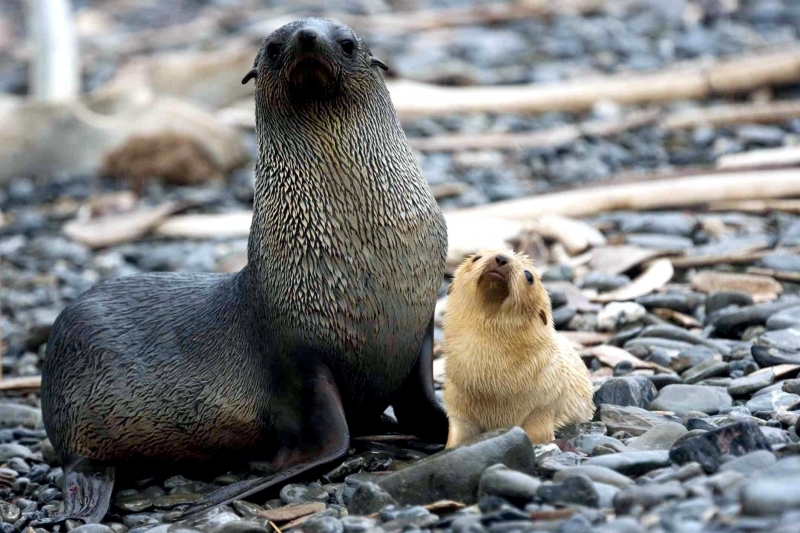 Large numbers of young non-breeding male New Zealand Fur Seals are found on Australia’s sub-antarctic Macquarie Island which were thought to have come from the New Zealand populations. 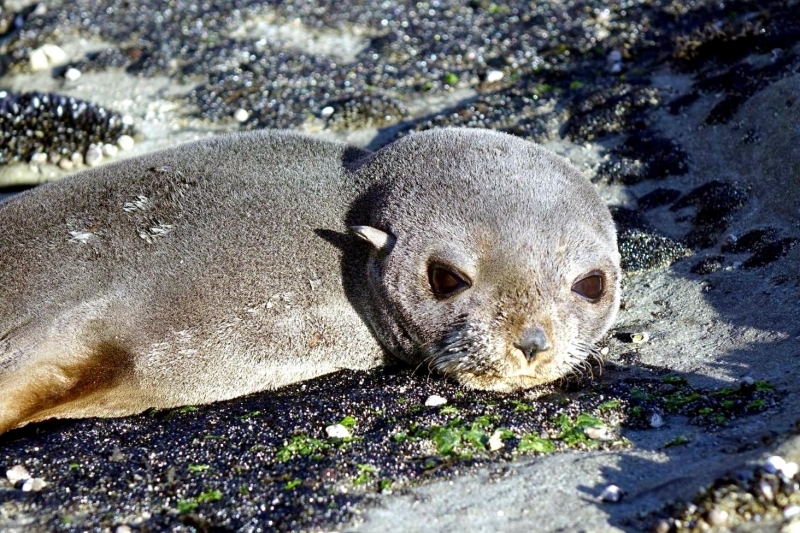 Although the Australian & New Zealand populations show some genetic differences, their morphologies are very similar and thus they remain classed as a single species. 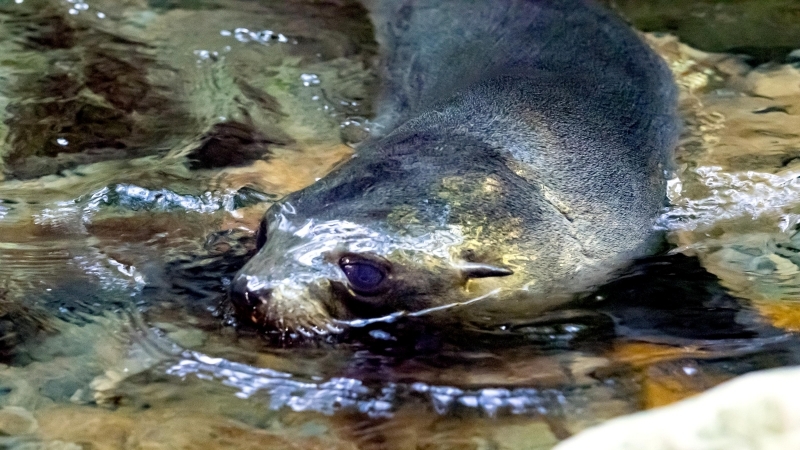 The males are longer and weigh 3 times more than females. 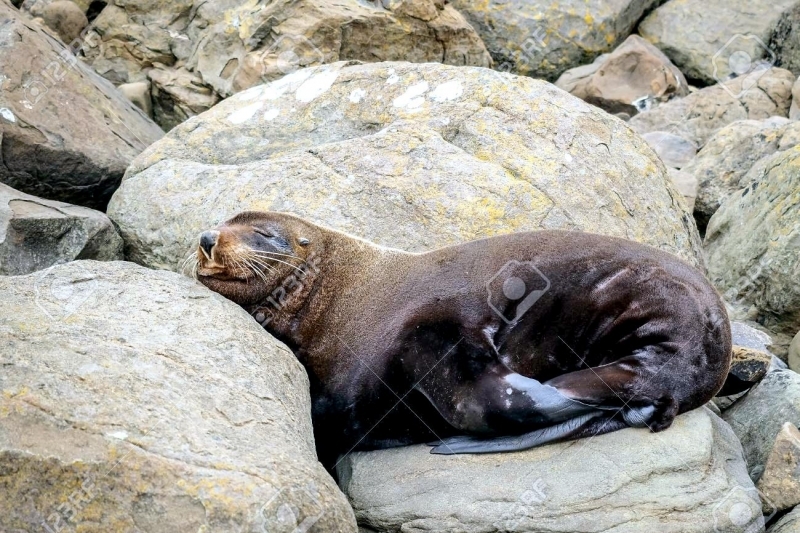 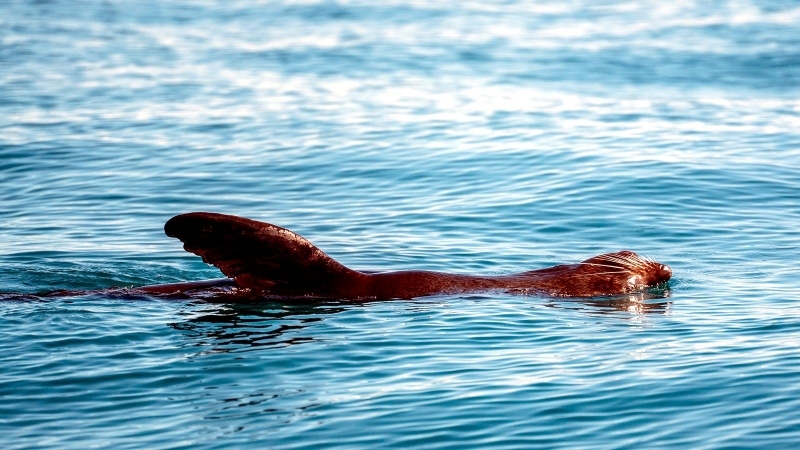 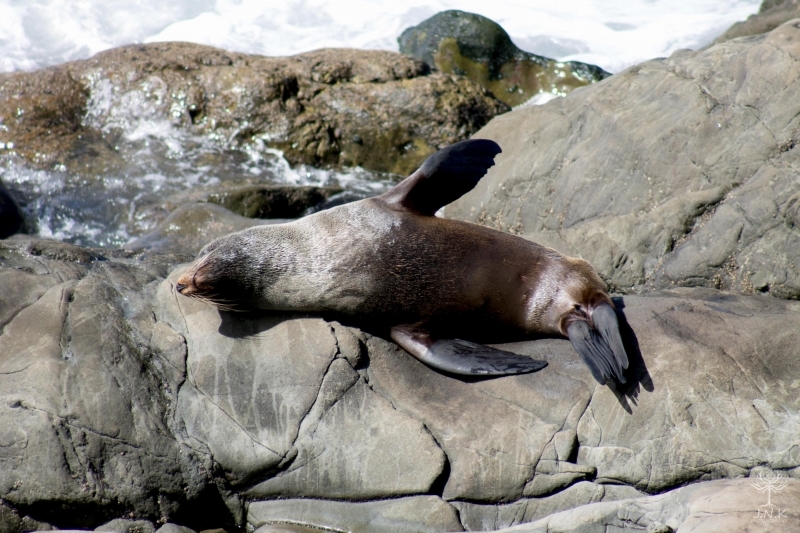 The most distinguishing feature about male New Zealand Fur Seal is the thick mane of fur around their necks. 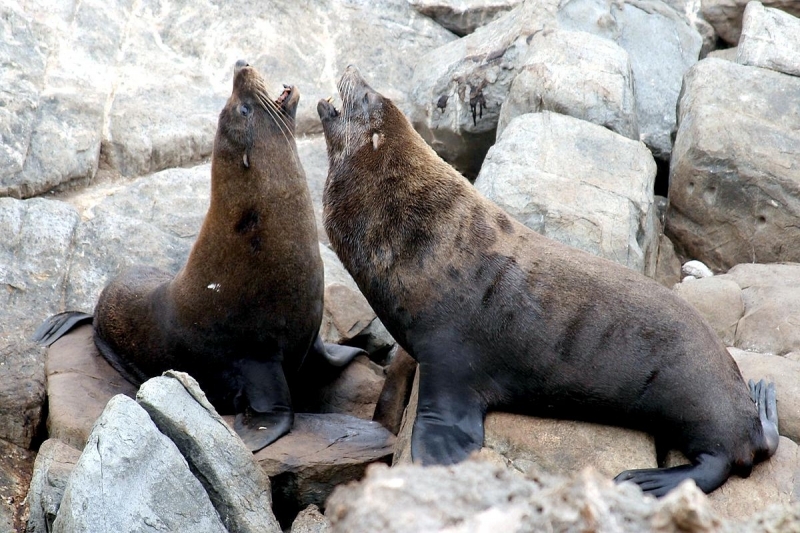 Both sexes have the same coloration. 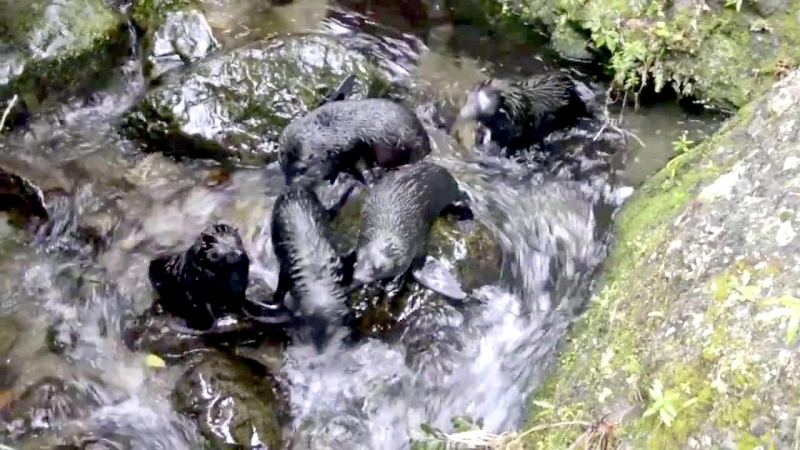 Their backs are a dark gray-brown color while their stomachs are a lighter gray-brown. 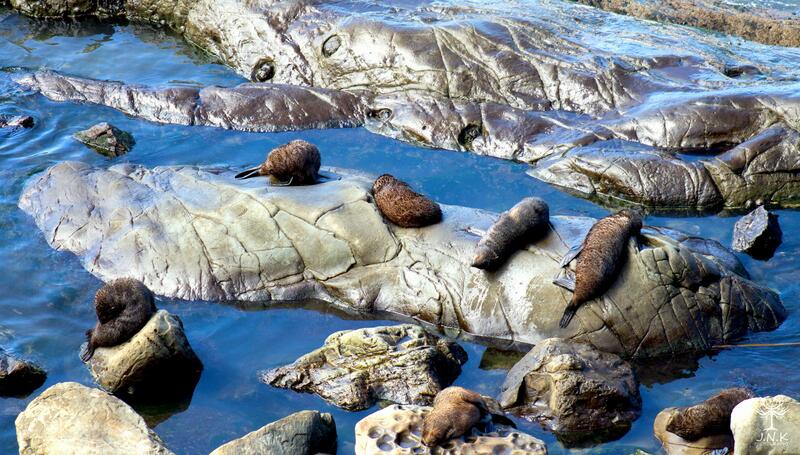 This coloration helps to keep them camouflaged among the rocky coastlines where they live. 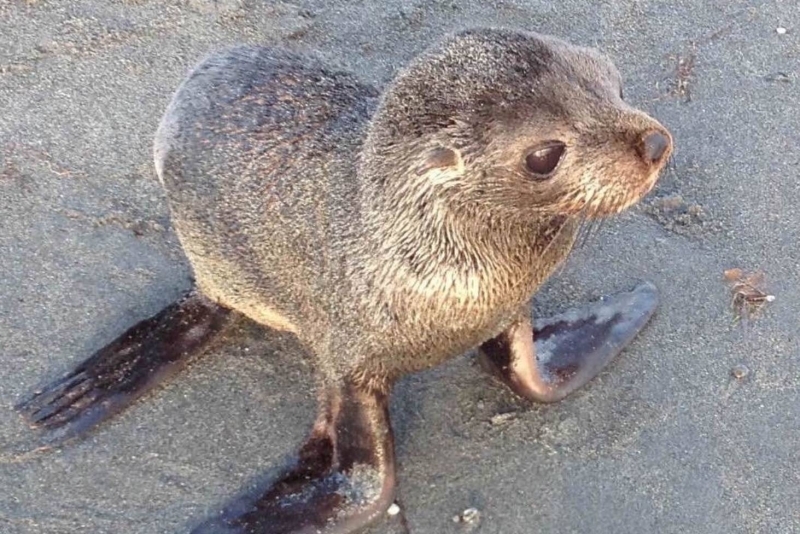 They have external ear flaps, a pointy noise and the ability to walk on all four flippers. 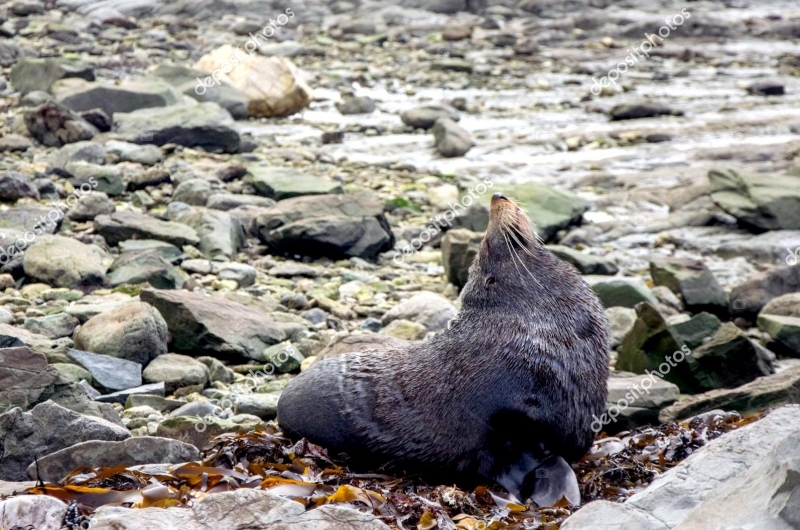 The New Zealand Fur Seal is an opportunistic forager. 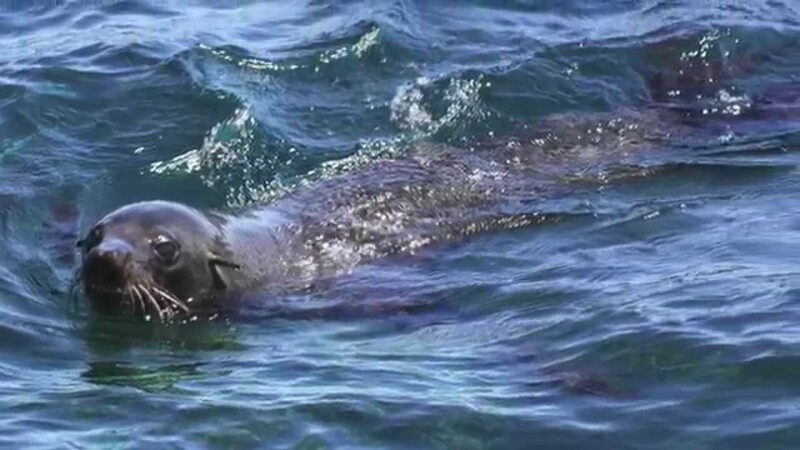 Their prey is fish, cephalopods such as squid & octopus and crustaceans including krill. 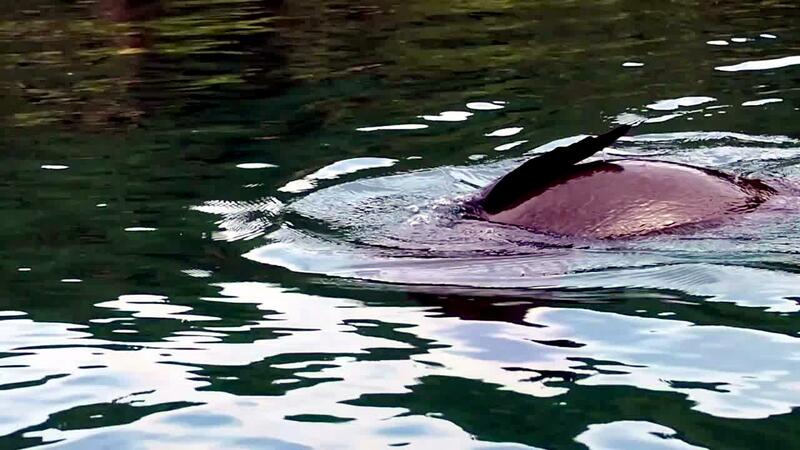 They even eat birds on occasion. 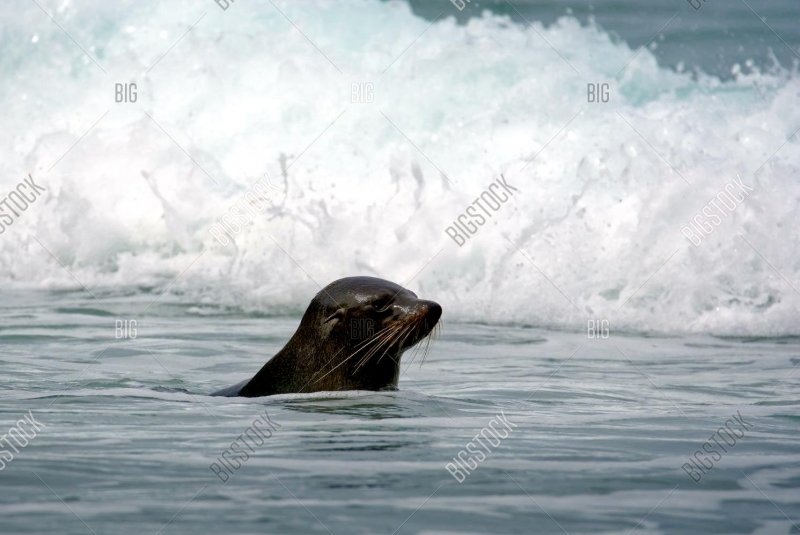 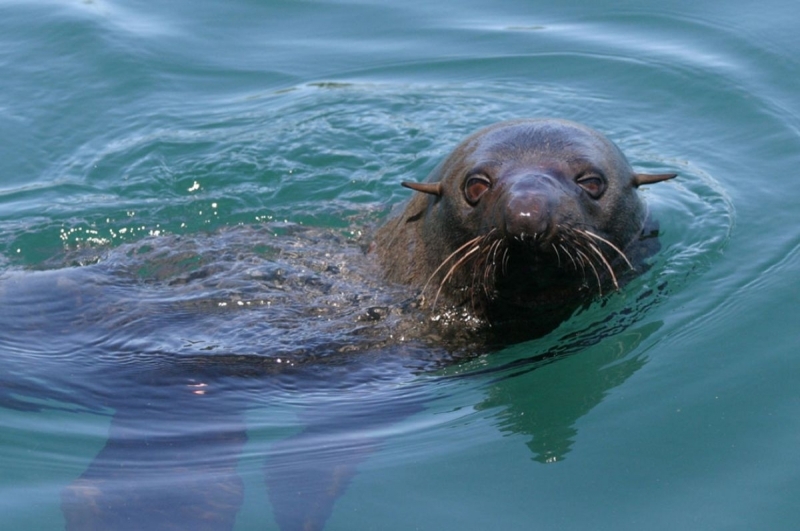 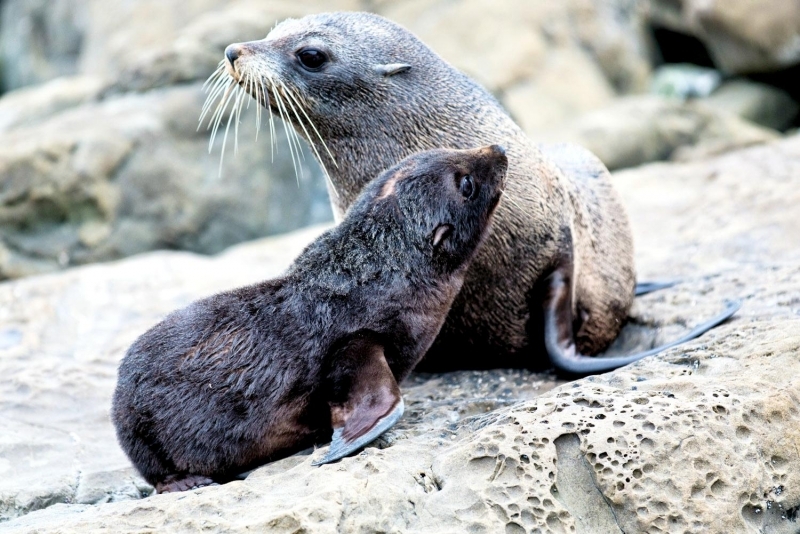 New Zealand Fur Seals will forage up to 200 kilometers beyond the continental slope, often diving as deep as 200 meters. 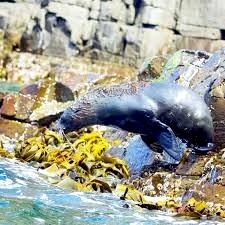 Most dives last only several minutes. 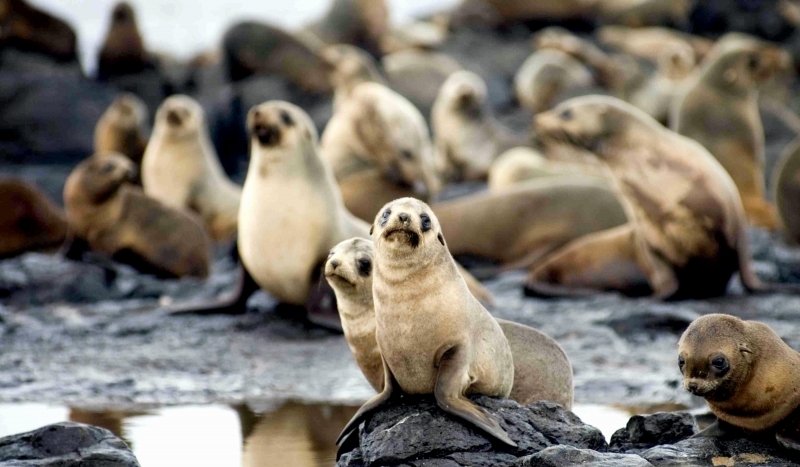 Breeding season occurs during the southeastern hemisphere’s summer months in late October through early February. 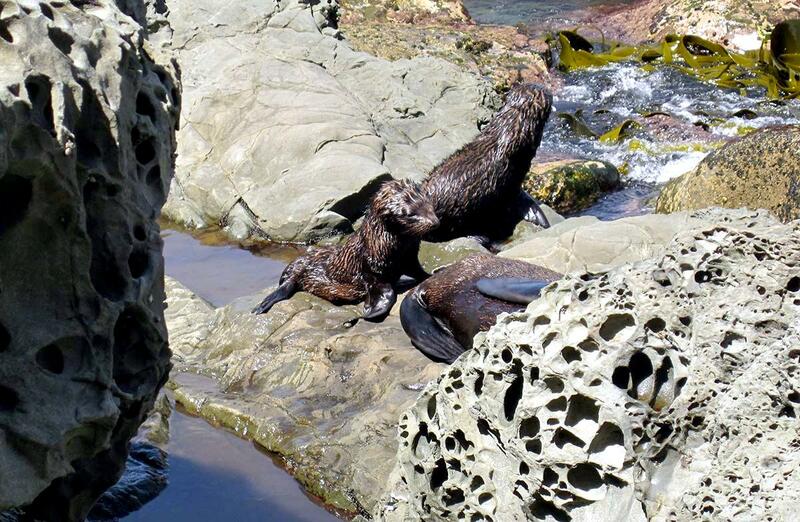 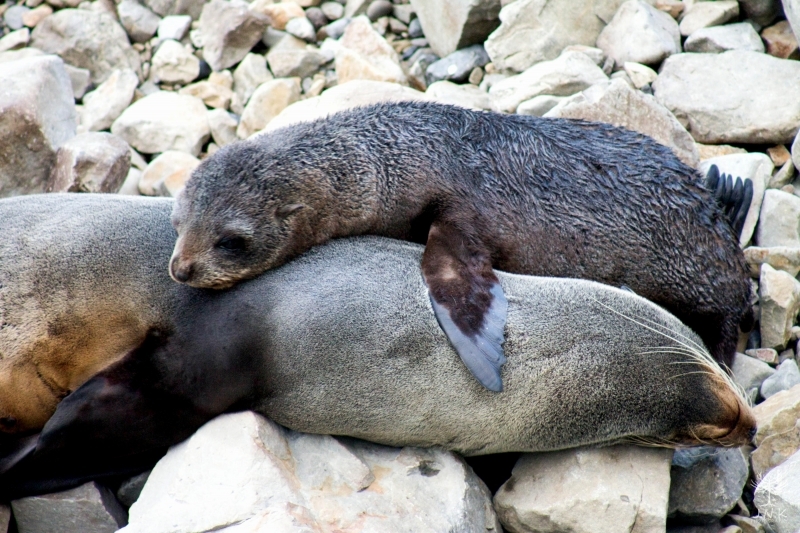 During the breeding season, New Zealand Fur Seals stay close to their rookeries. 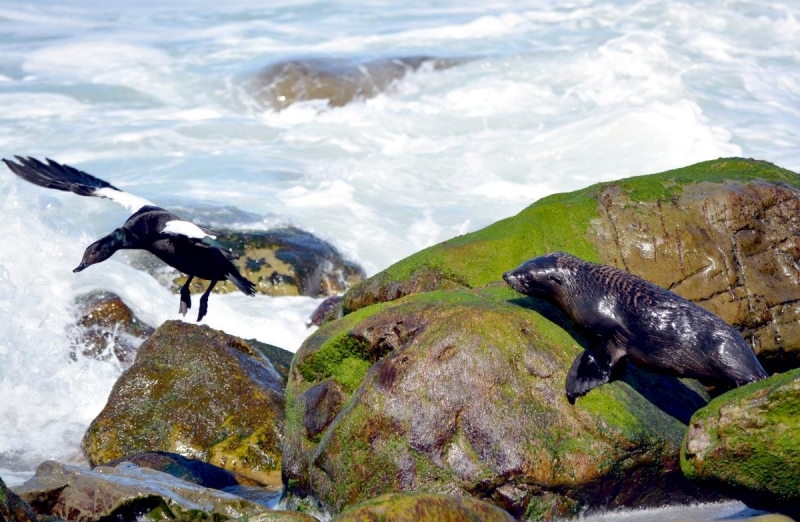 In winter months, they may migrate a distance of up to 100 miles away. 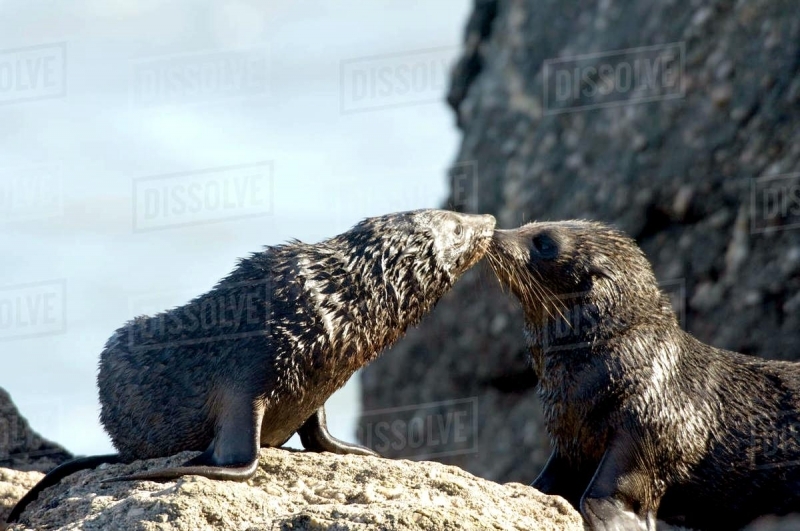 On average, males reach sexual maturity between the ages of 4 to 5 and females at around 5 years of age. 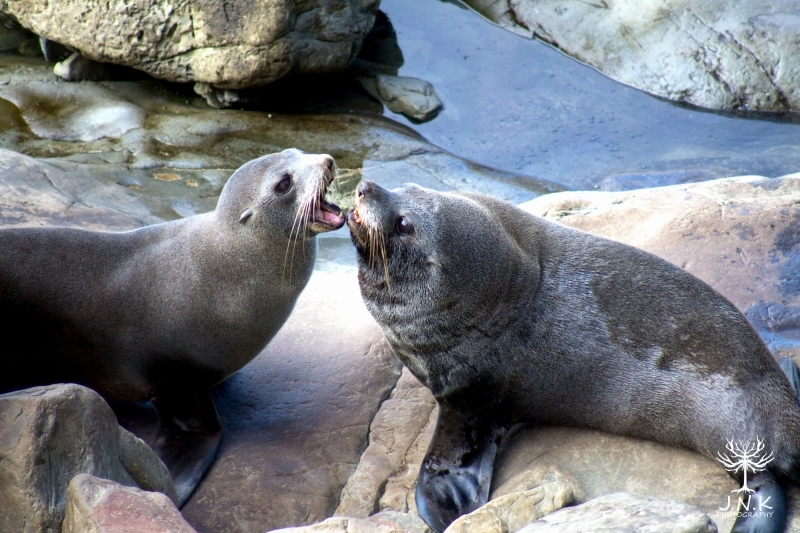 Though males are sexually mature, they will not be able to claim and defend their own breeding territory until they are between 8 to 10 years old when they have grown bigger in size. 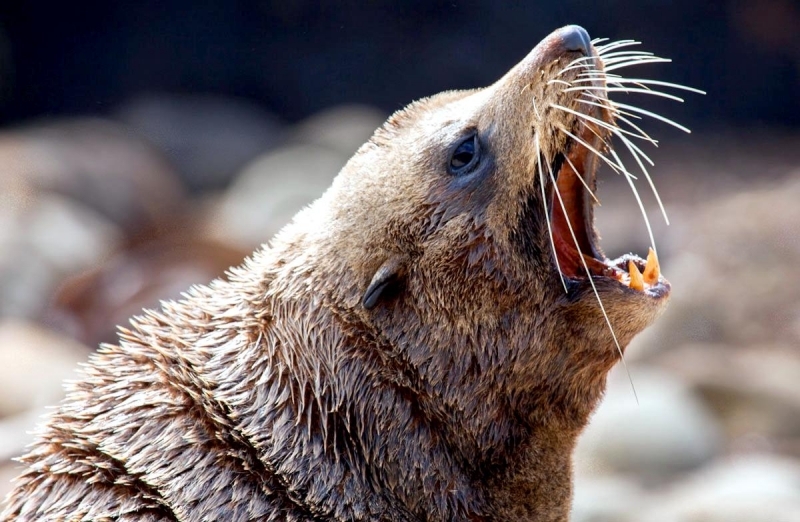 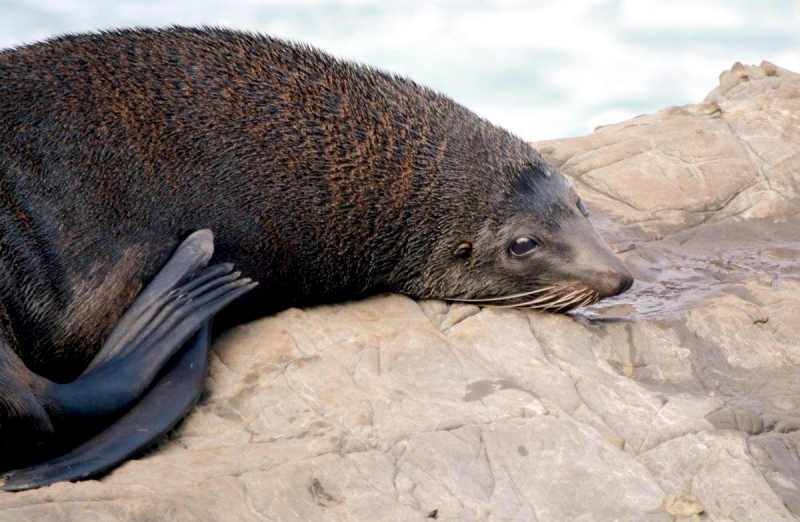 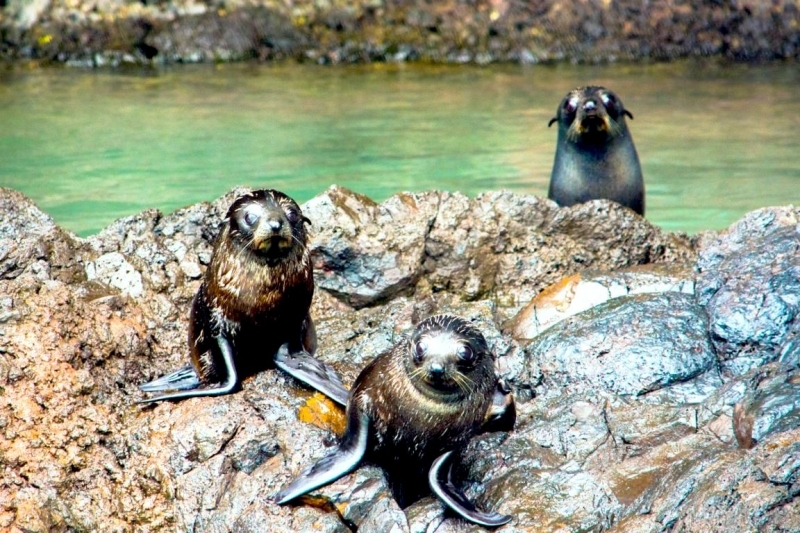 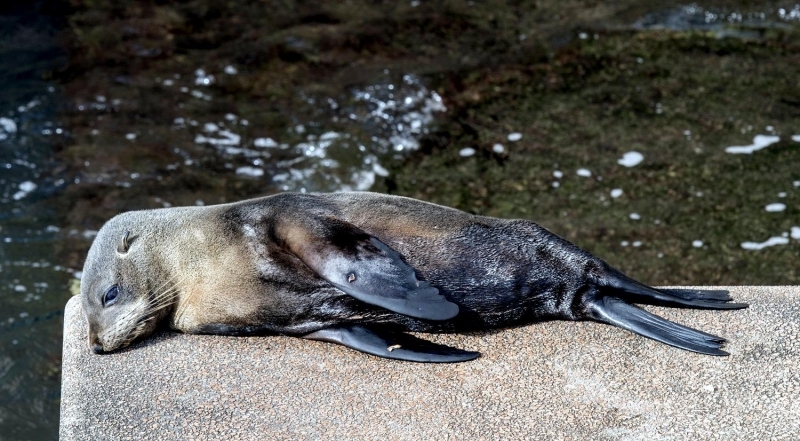 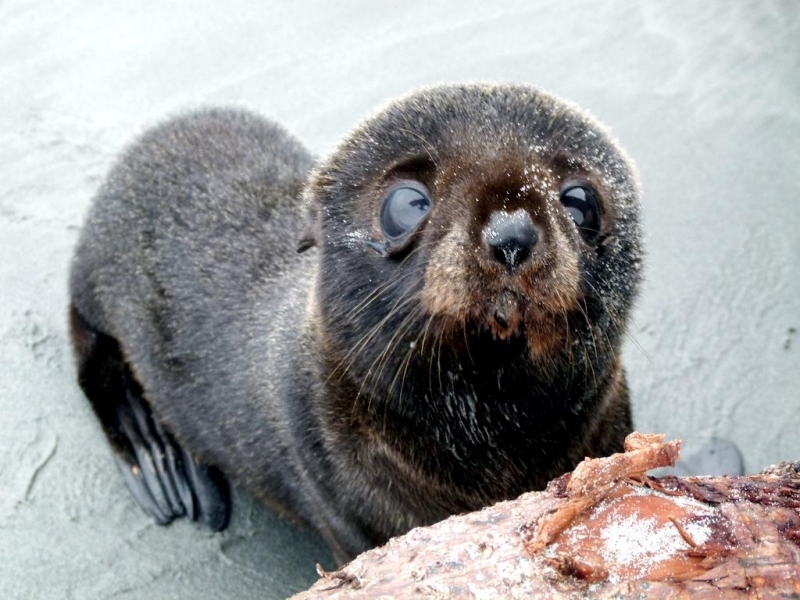 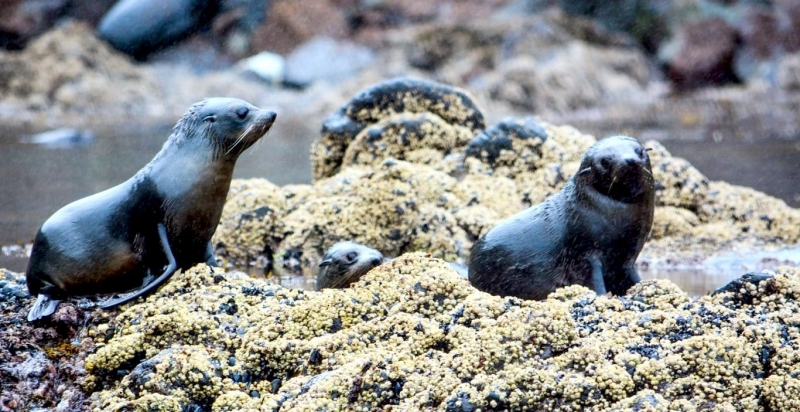 The New Zealand Fur Seal population is at a low risk. 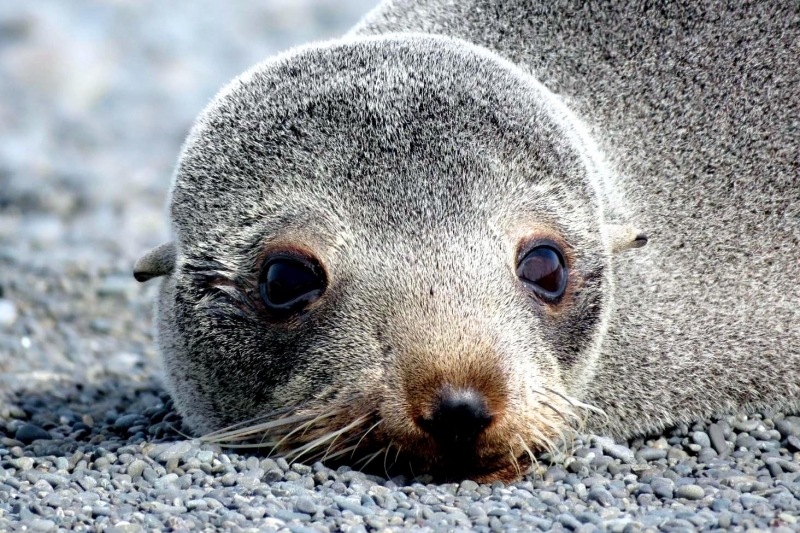 This is due to all of the marine mammal protection acts created by the governments of Australia and New Zealand. 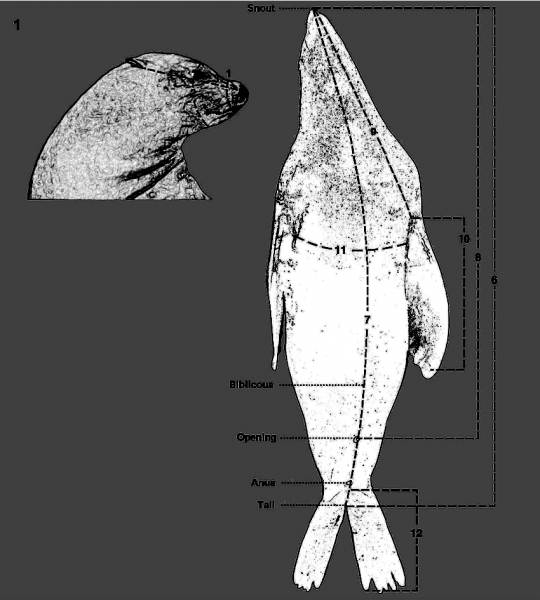 In the 1900’s, this species saw low population levels due to humans hunting them. 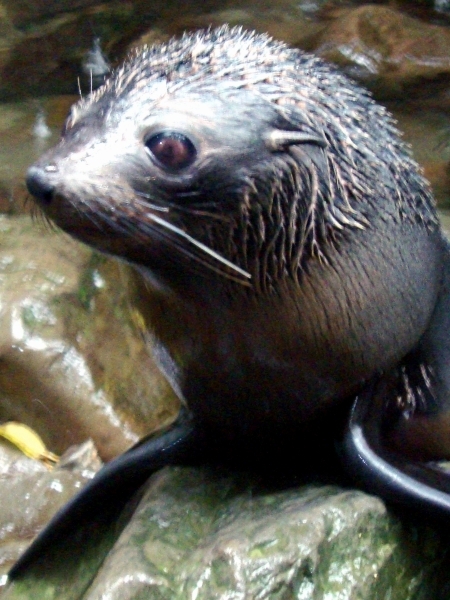 The New Zealand Fur Seal was important to native Polynesian culture as well as European sealers. 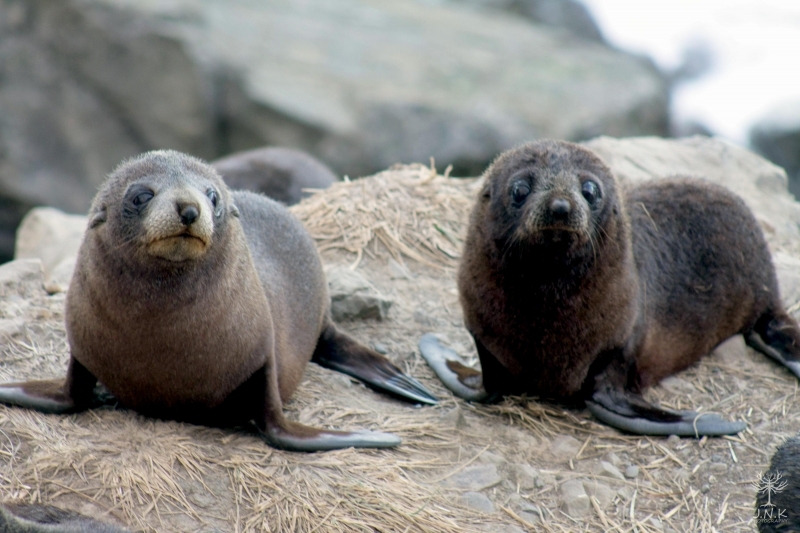 On average, male pups of this species are born larger in size than female pups. 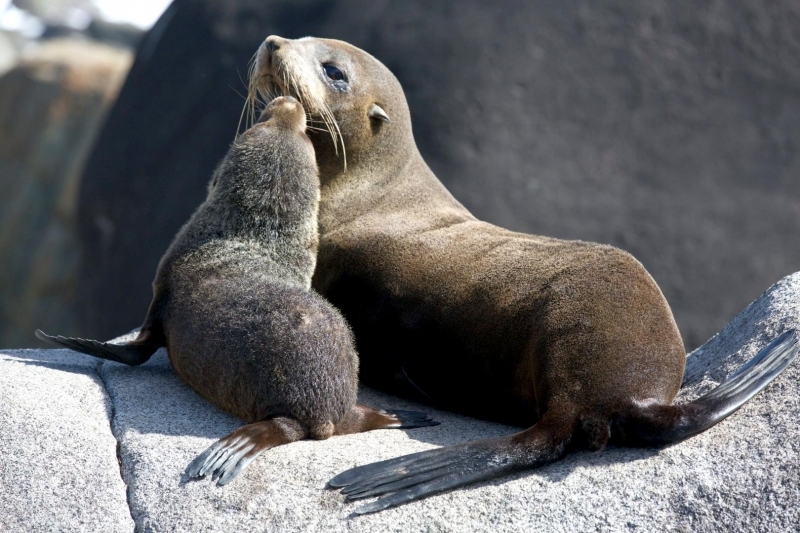 At birth, males average 9 to 12 pounds and females average 8 to 10 pounds. 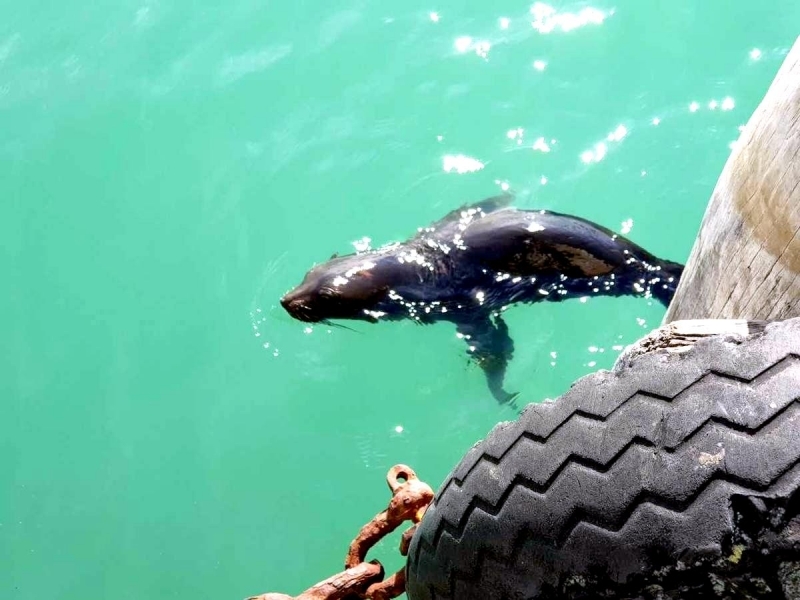 Predators. 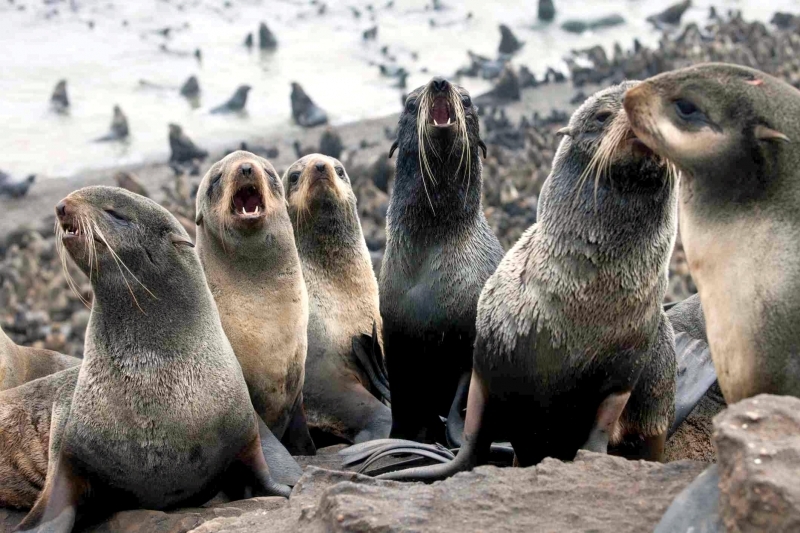 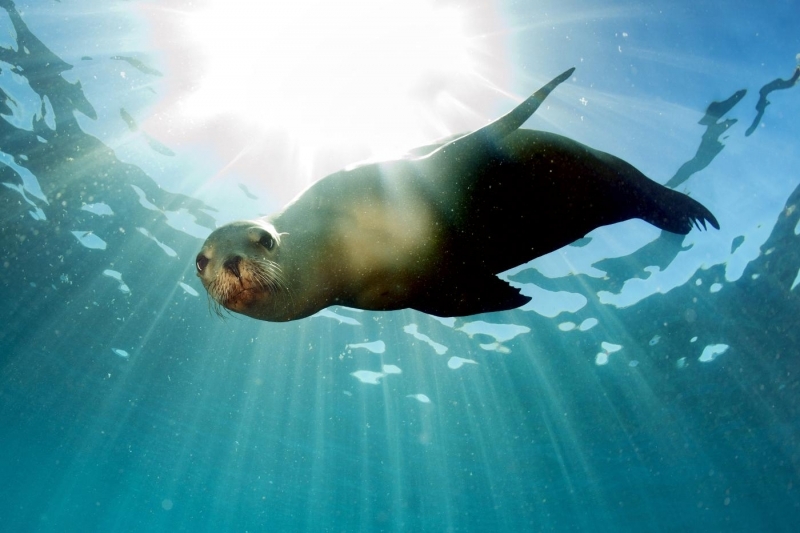 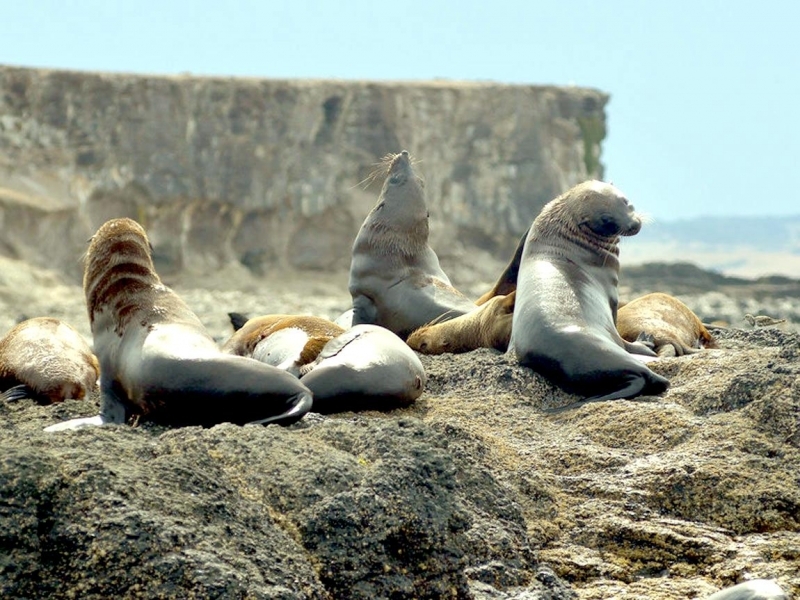 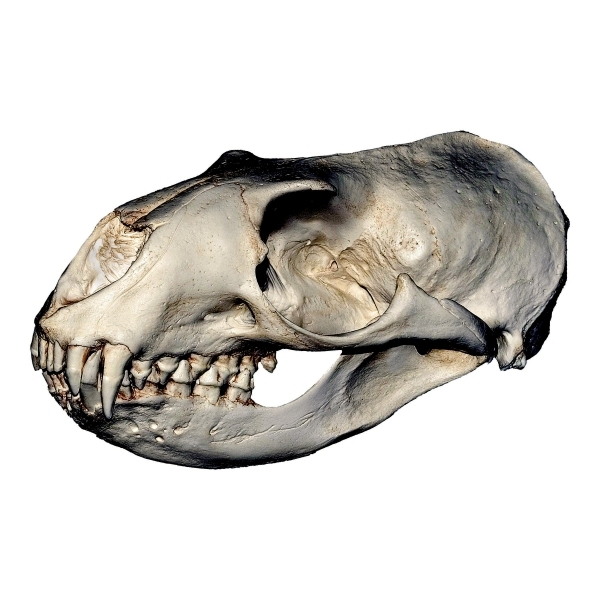 Known predators are Killer Whales, sharks, male New Zealand Sea Lions and possibly Leopard Seals. 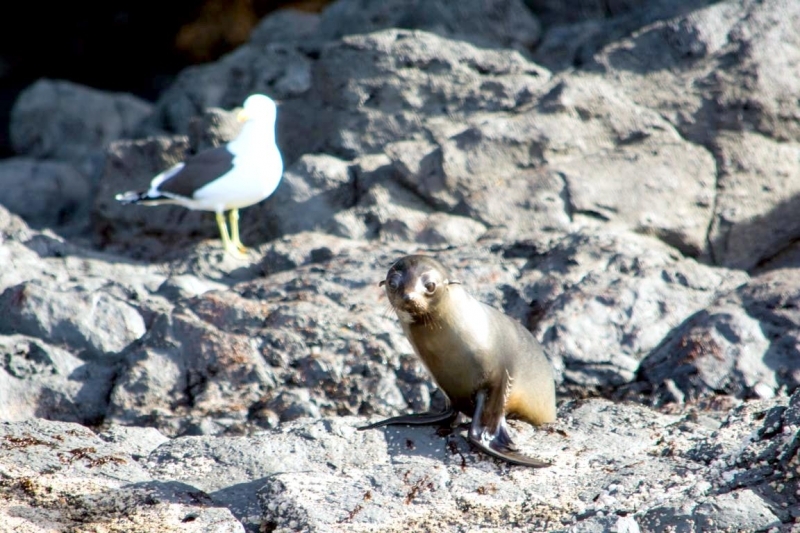 New Zealand Sea Lions are also known to target pups as their prey.